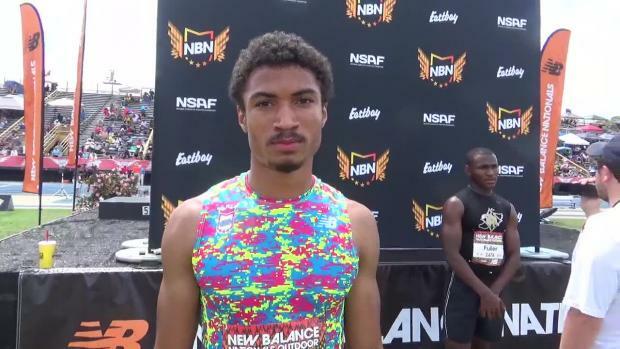 Check out the entries for new balance nationals outdoor. 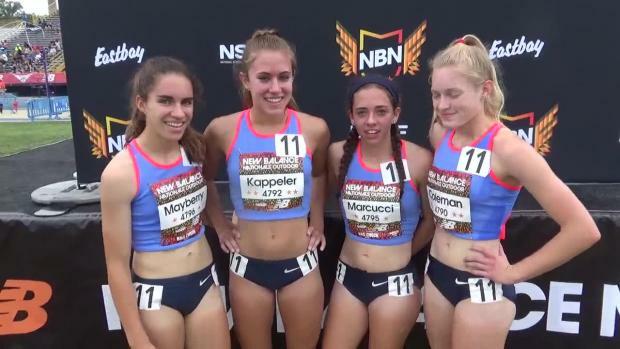 Day one coverage from Mary Ann Magnant (VA) at the 2017 New Balance Outdoor National Championships. 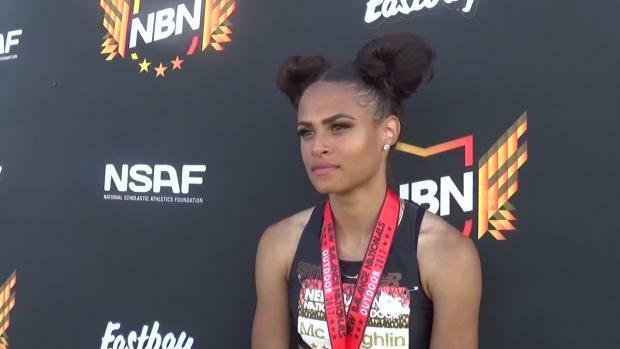 The Union Catholic girls anchored by Olympian Sydney McLaughlin put on a show at New Balance Nationals. 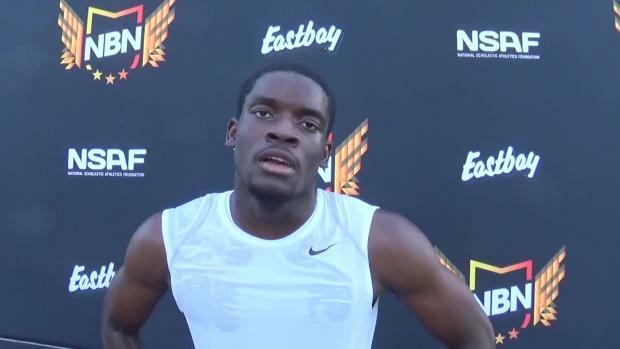 This included an FAT anchor split of 49.85 for McLaughlin to bring home the win and new national record. 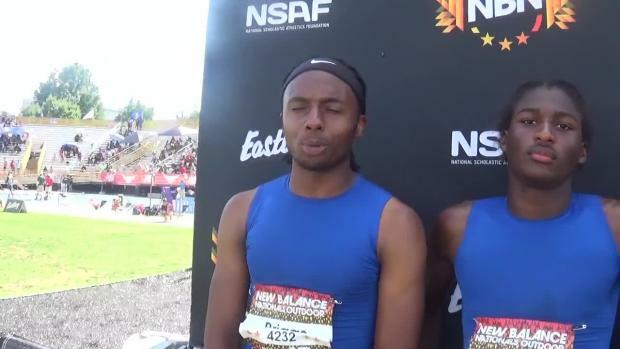 Some brief highlights from NSAF's New Balance Outdoor Nationals. 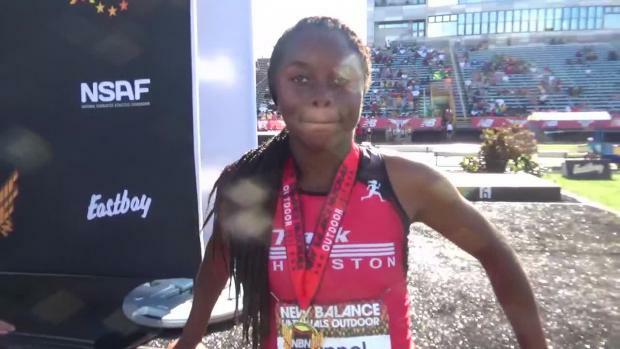 The Girard College sophomore took third in the finals at New Balance Nationals Outdoor. 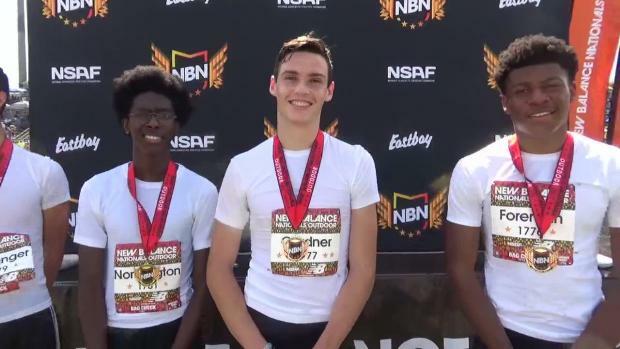 This year, the MHSAA made a new wrinkle clear when it came to competing at national meets: Athletes can't use their high school performances as qualifying entries... ever. 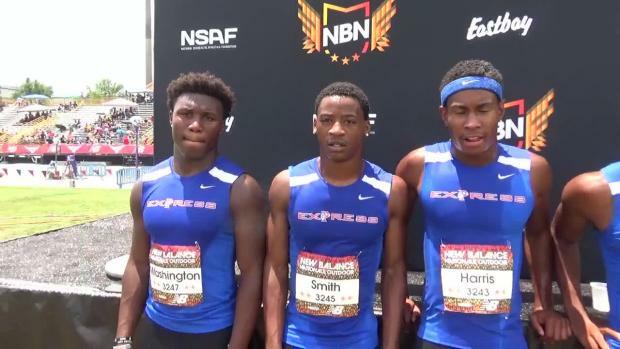 Who from PA is headed to Greensboro, North Carolina for nationals? 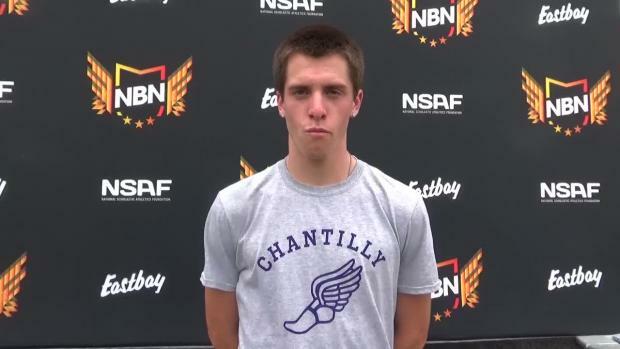 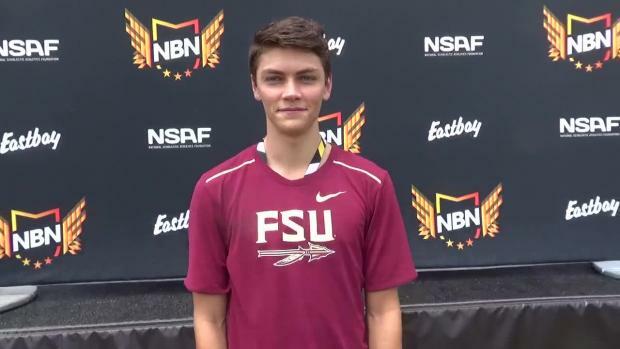 Chantilly senior and Stanford commit Brandon McGorty has pulled out of the seeded 800 at Nationals due to injury. 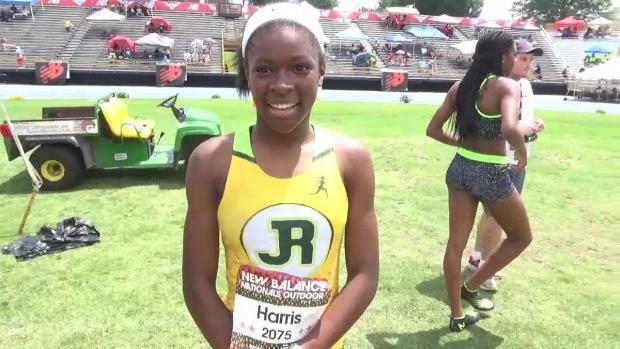 Check out who from North Carolina will compete this Friday through Sunday at New Balance Outdoor Championships! 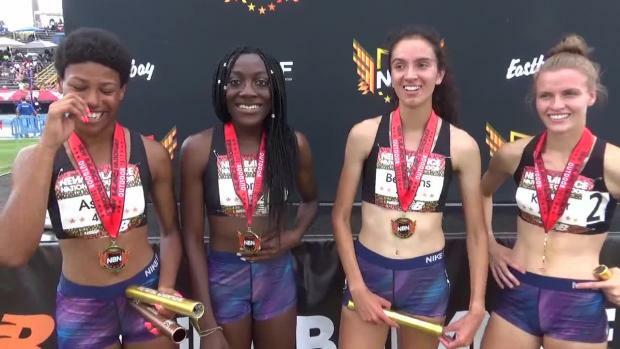 Over the last four years, a massive amount of star power has performed well at New Balance Nationals Outdoor. 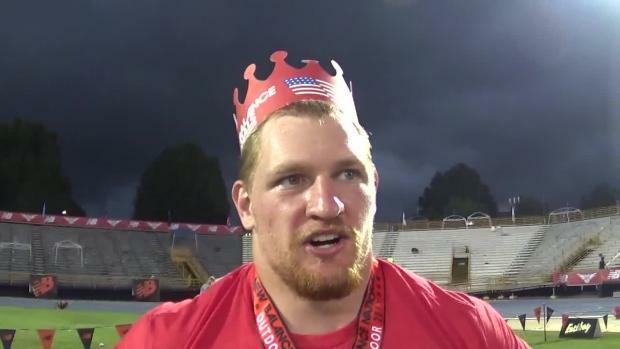 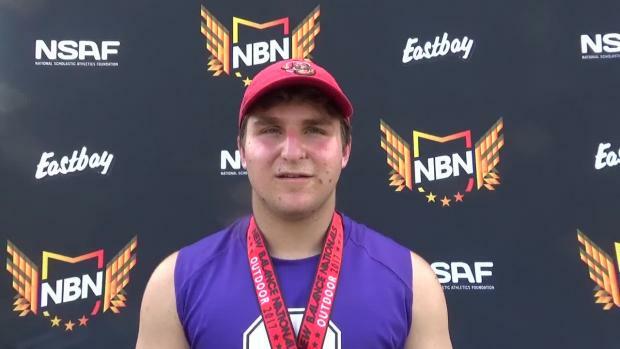 Pennsylvania's shot put king regained the US#1 ranking at long last in his specialty and surprised in the hammer. 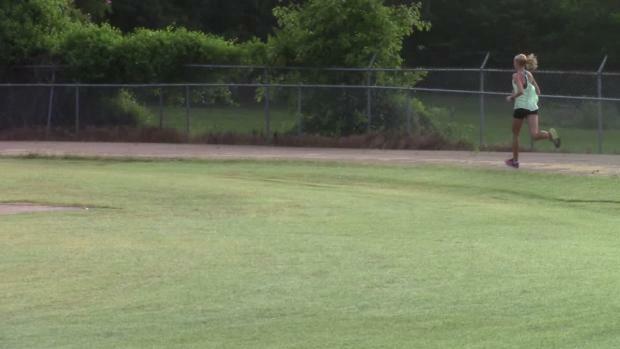 Sunday, it's the discus. 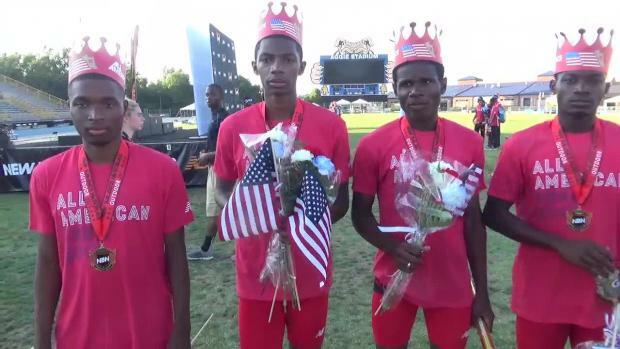 We picked six we felt stood out from the rest. 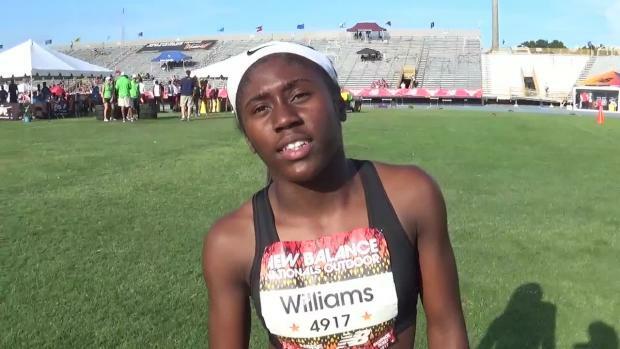 Your one stop location for all the Team VA updates from New Balance Outdoor Nationals. 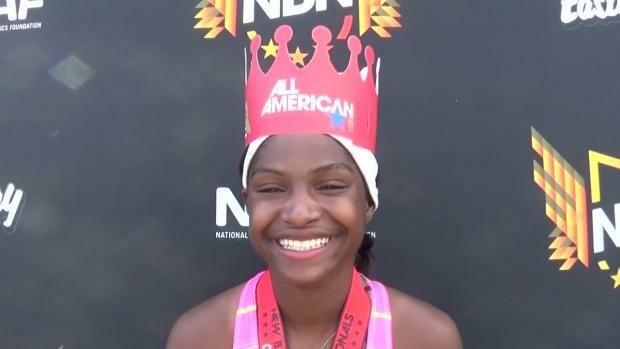 Plenty to celebrate about thanks to some talented New Jersey athletes competing at NBNO this past weekend. 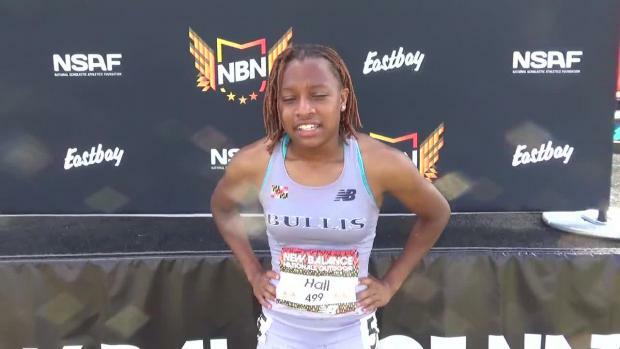 The future of Bullis School's loaded program was on grand display for day one of the New Balance Nationals with both Shaniya Hall and Ashton Allen winning the freshmen 400 meter titles with times which rank among fastest in the state of Maryland. 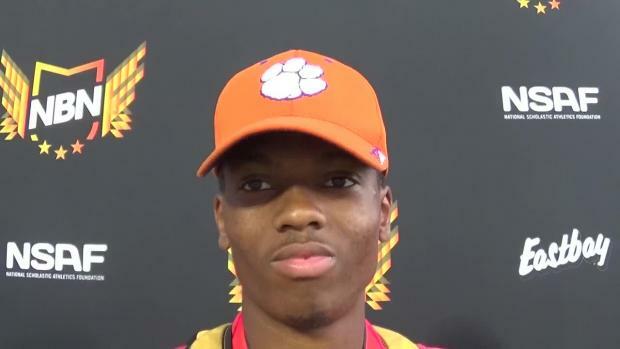 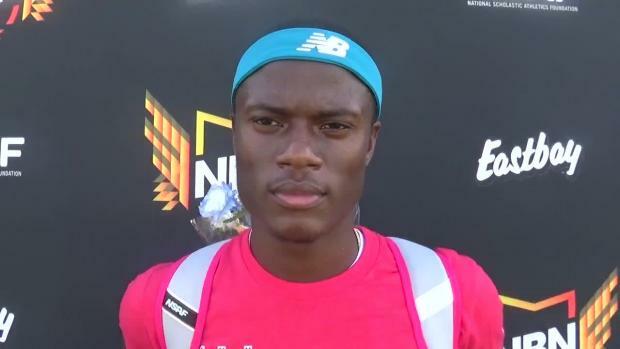 Tyrese Cooper showed why he is one of the best sprinters in the country defending his 2016 outdoor and 2017 indoor crowns in the 200 and 400 at New Balance Nationals. 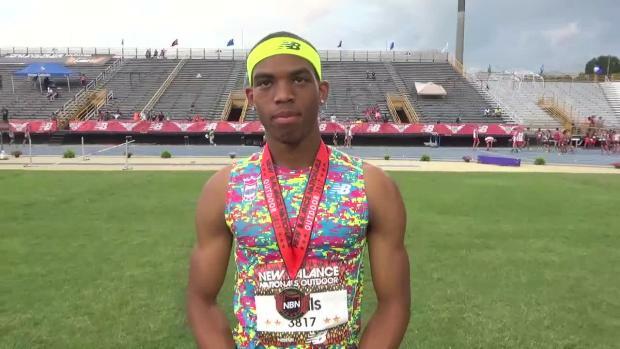 Blacksburg's football star is now officially a national track star. 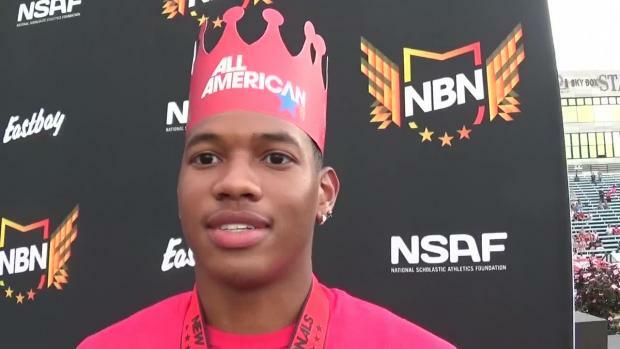 The junior scored 7,009 point en route to his national title. 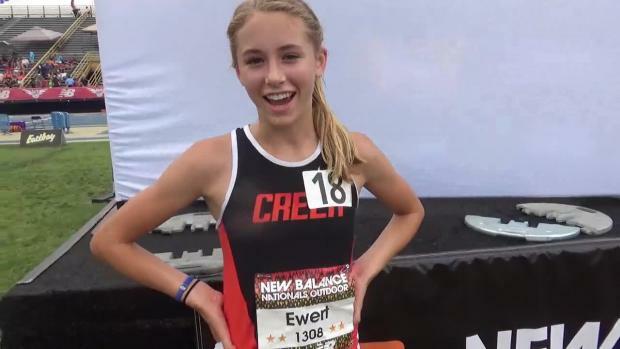 Taylor Ewert set a new national high school record for freshman girls in the 3000m Race Walk event! 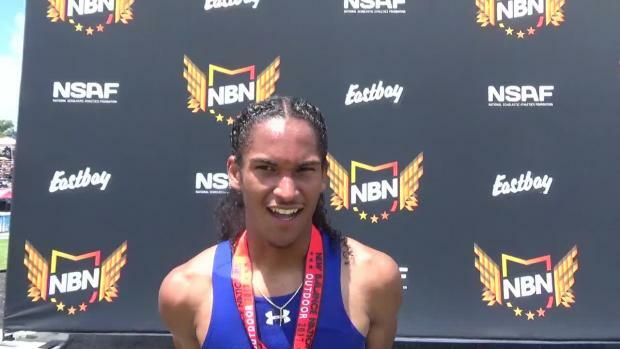 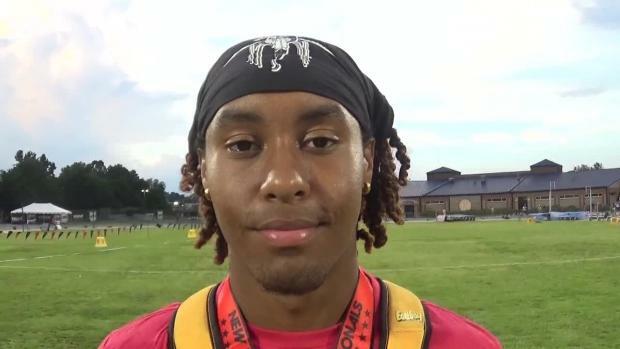 Miami Northwestern's Thomas Burns ran a US#1 50.63 to win the 400m hurdles at NBNO. 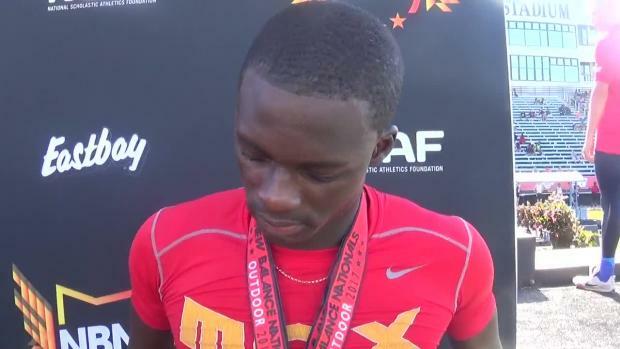 He followed that up with a 44.58s anchor leg on the team's runner-up 4x400m relay. 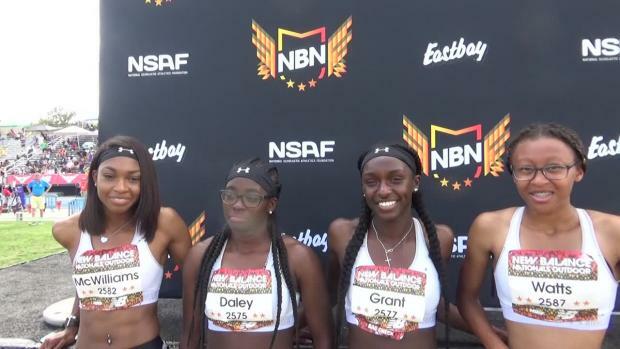 Western Branch's quartet of Dawson, Williams, Blackley, and Harris took home the 800m SMR national title in a US #4 all-time performance of 1:29.04. 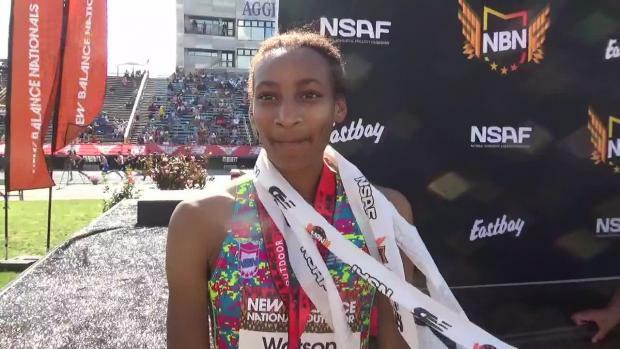 The national record holder's historic career ended with her first career national championship. 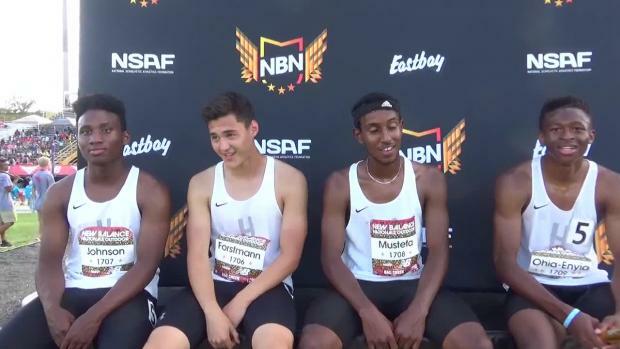 Extremely proud of these local stars. 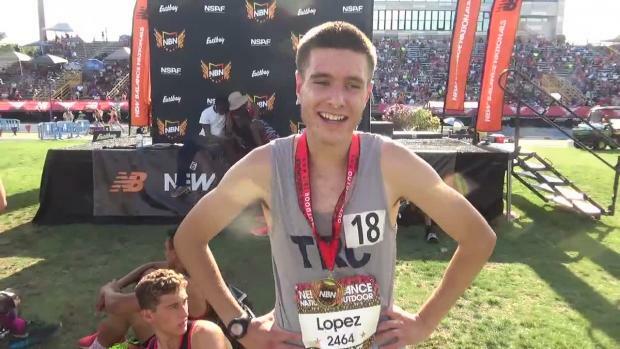 See who has made the cut for the championship division now after the state meets. 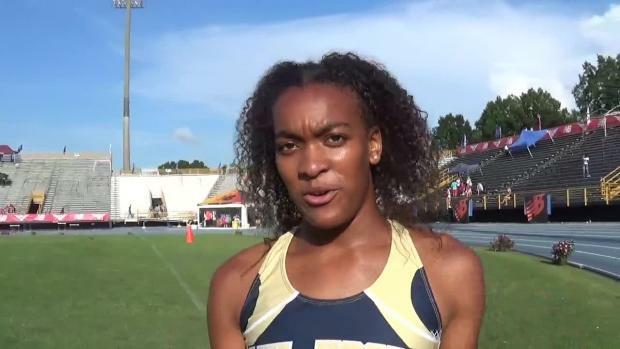 How did PA athletes perform in North Carolina over the weekend? 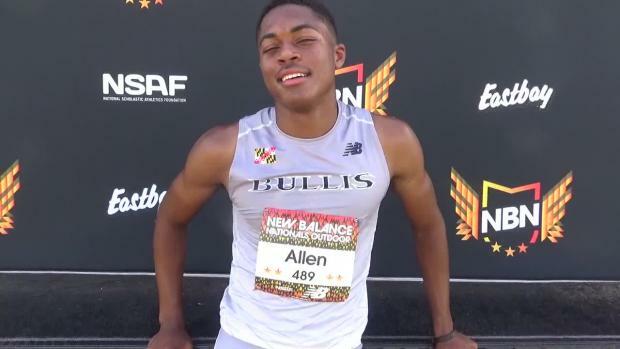 Through just one day of competition we saw five All-American finishes and six EE/Freshmen champions from the state of Virginia. 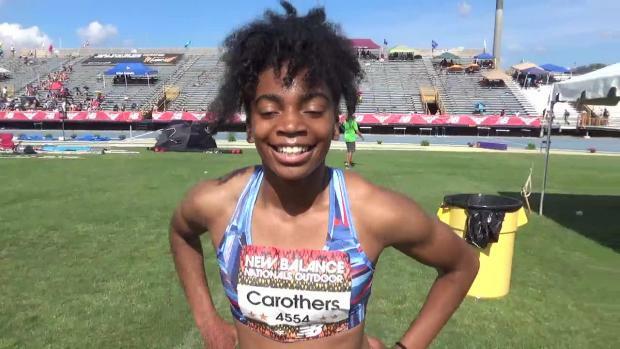 Championship event highlights of Maryland athletes and relays from Friday and Saturday championships at the 2017 New Balance Nationals Outdoor in Greensboro, North Carolina. 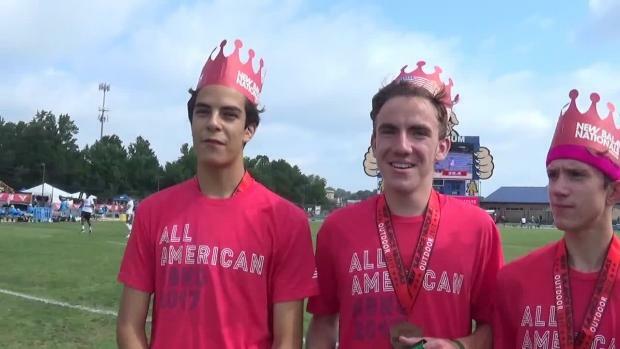 More to come with day 3 competition on Sunday as well as highlights from the emerging elite and freshmen division races. 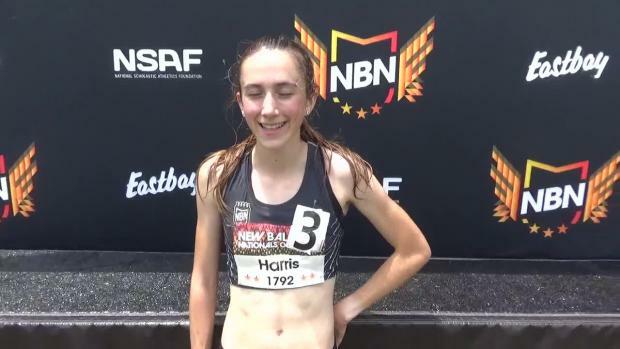 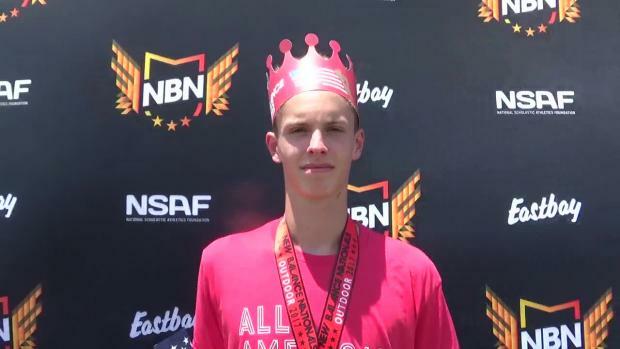 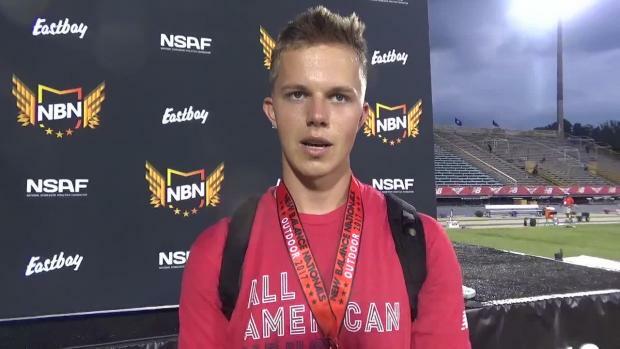 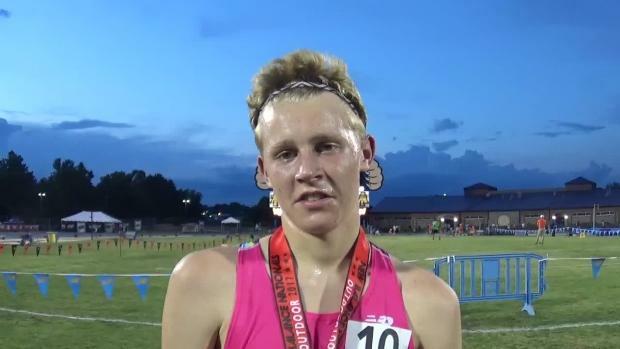 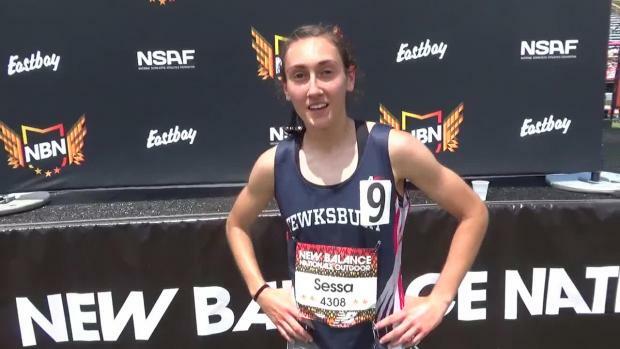 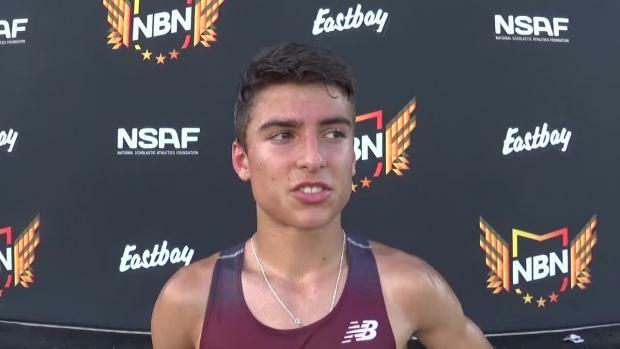 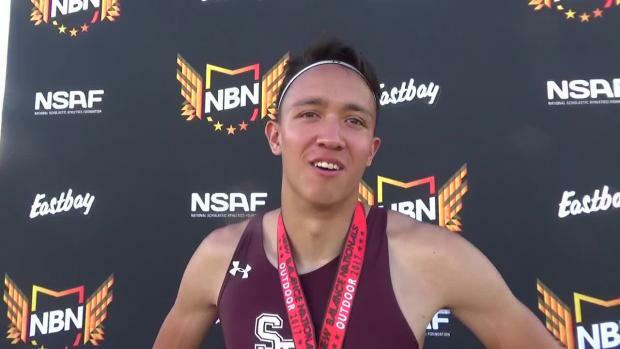 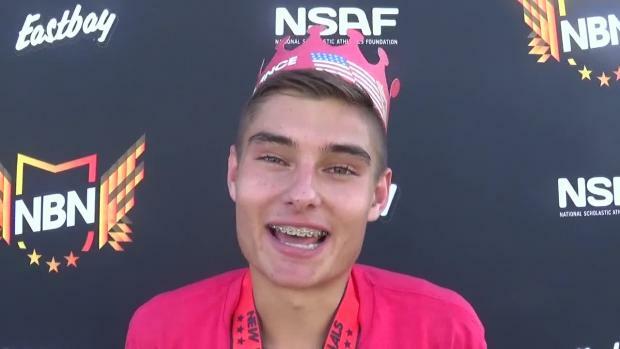 Talented sophomore clocks fast 14:36.13 on Friday night at New Balance Nationals Outdoor Championships. 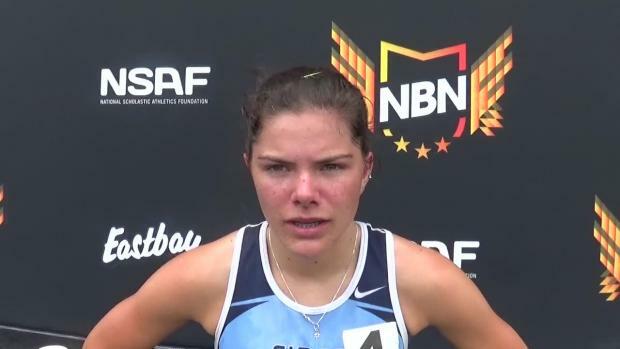 Dracut's Erin Meniman earns All-American status in Javelin. 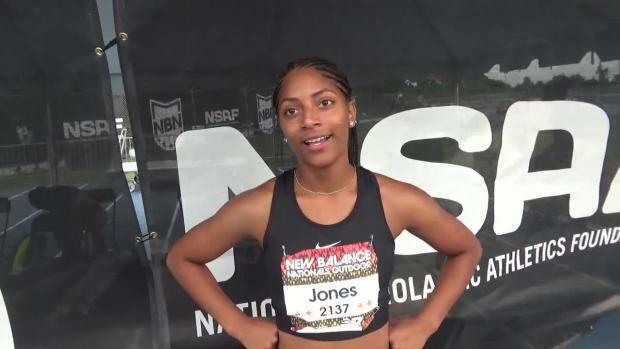 Updates from NC on Day 3 of New Balance Outdoor Nationals! 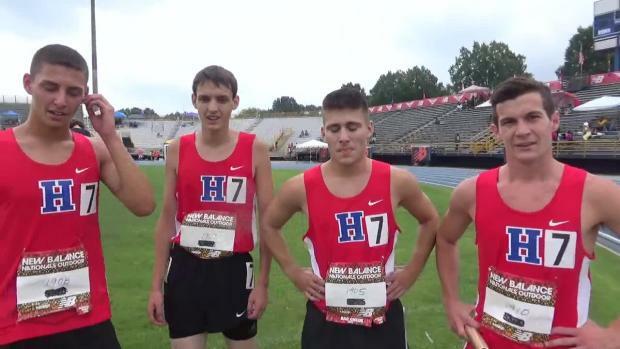 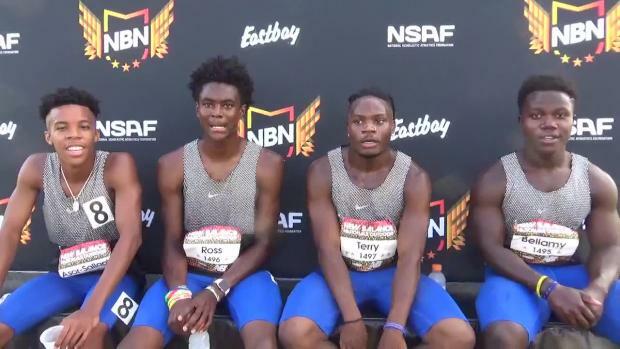 Louisville High School took the 4 x 1 Mile Relay win at the New Balance Nationals Outdoor! 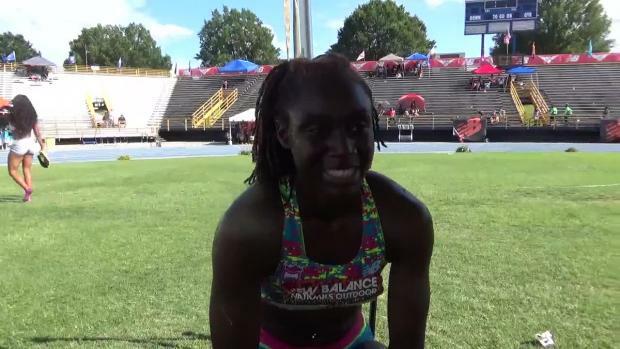 Updates from Day 2 at New Balance Outdoor Nationals going on all day! 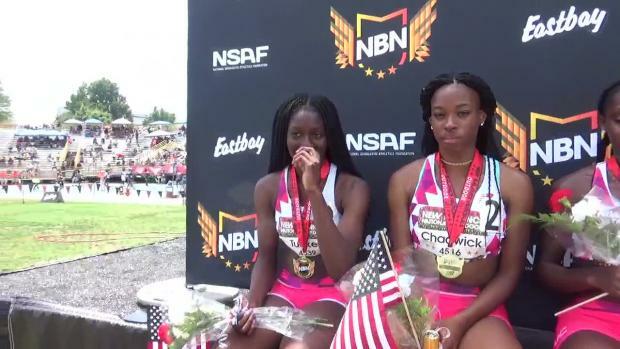 15 All-American finishes and one national record highlighted day two for Team Virginia at New Balance Nationals. 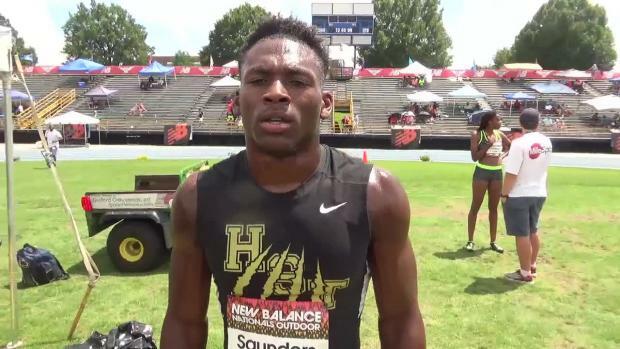 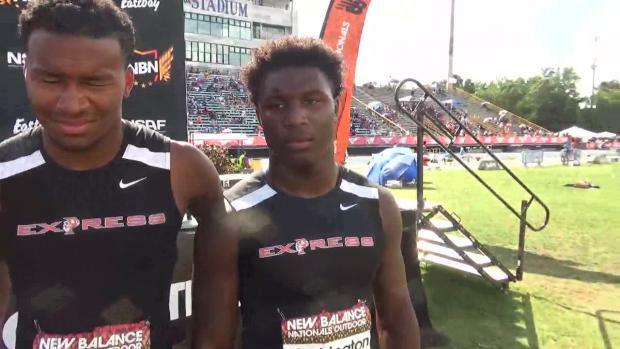 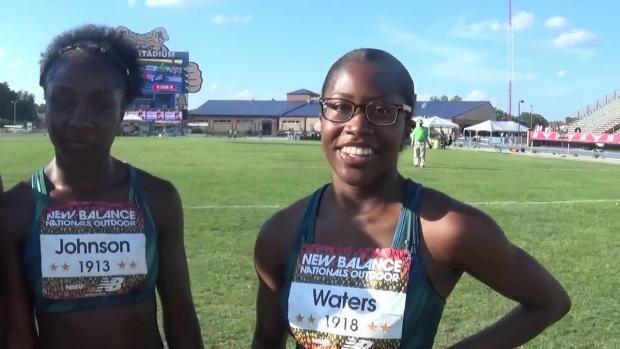 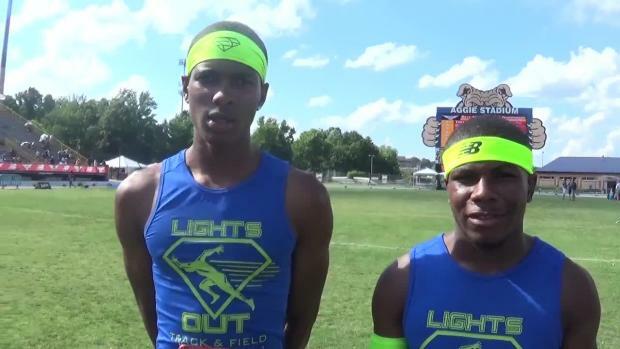 Alabama has a strong tradition of major performances at the New Balance Nationals Outdoor. 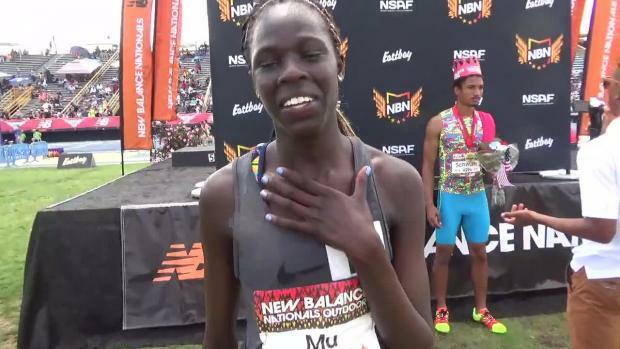 Find out who is entered in 2017! 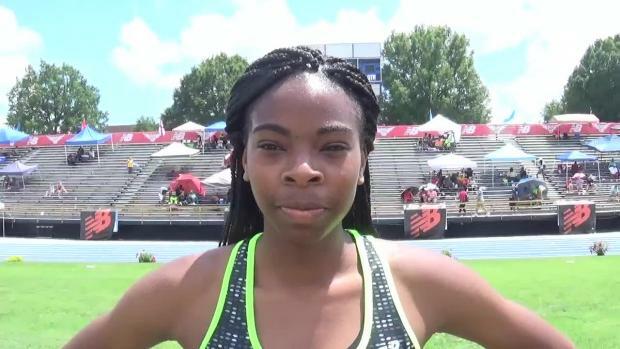 North Carolina Preview for New Balance Outdoor Nationals! 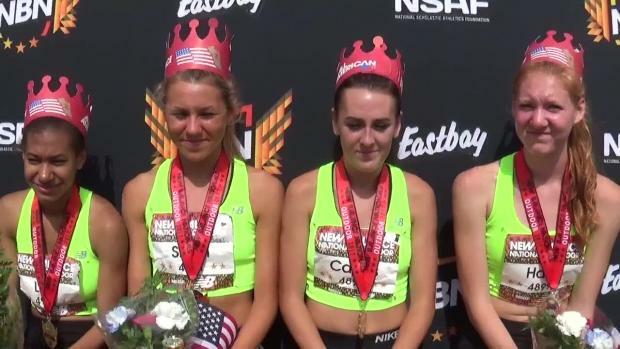 What girls will be competing for an All-American finish? 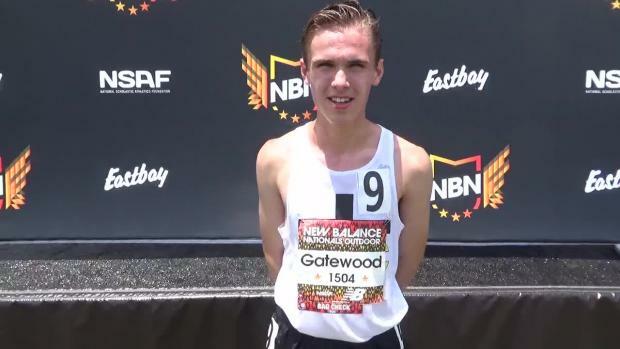 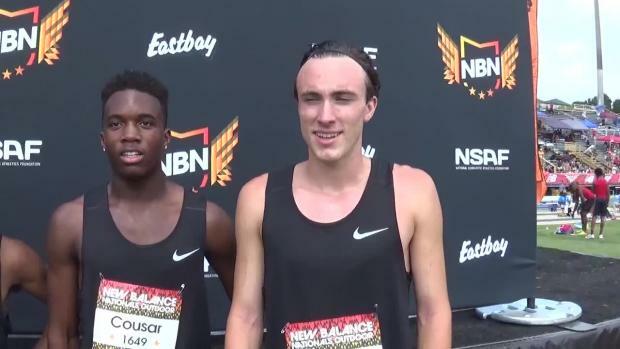 James Lee's 4:13.35 mile was one of two second-place finishes for Colorado at NBNO. 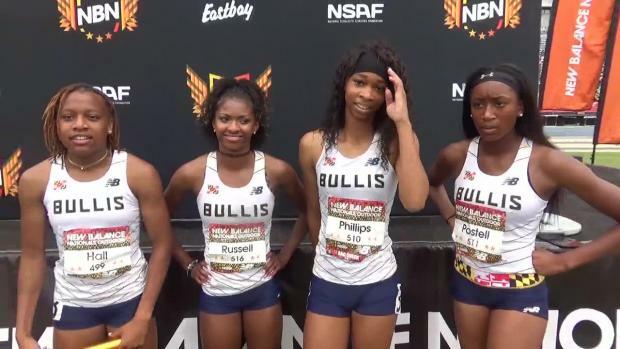 The Bullis girls kept their weekend rolling with greatness in the relays as their 44.88 meet record in the 4x100 meter relay finals broke the state record as well and was less than 4 tenths of a second off the national record of 44.50. 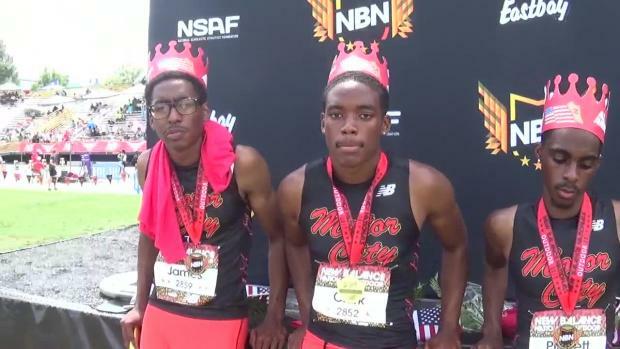 Not only does Team VA have some potential All-American relays but we have some serious national champion favorites. 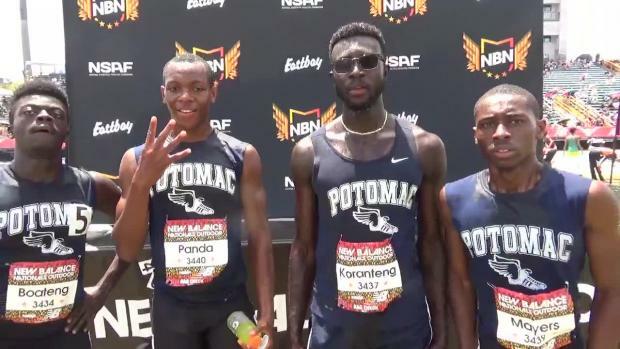 Many PA boys individuals and relays performed well in North Carolina. 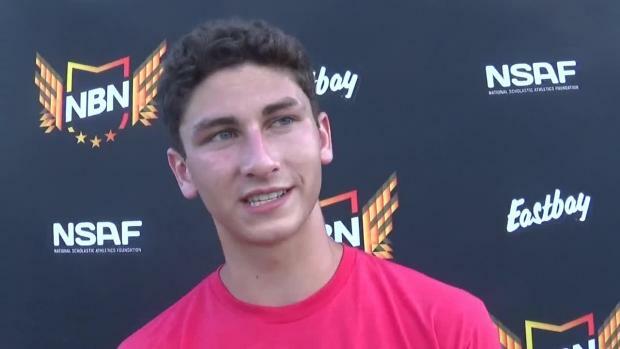 North Andover senior cracks 17-foot barrier! 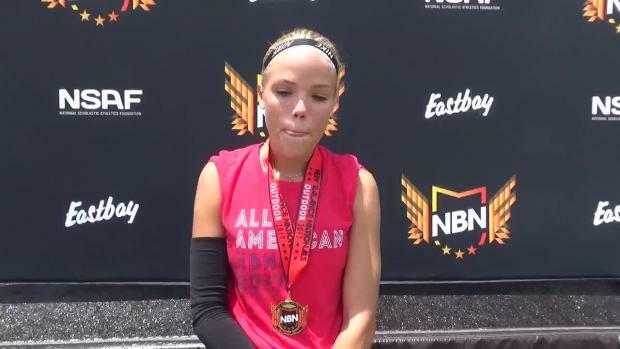 Needham's Burnett just misses podium in 100m on Saturday. 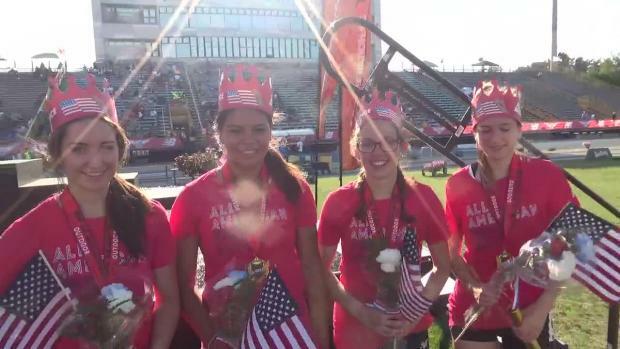 North Andover a placement away in the shuttle hurdle relay. 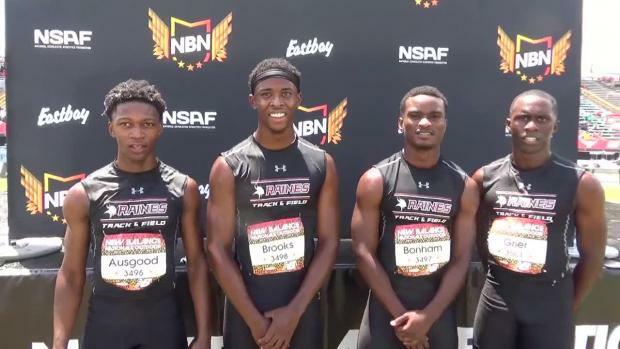 Florida's best headed to Seattle, Washington and Greensboro, North Carolina for a national test at Brooks PR and NBNO. 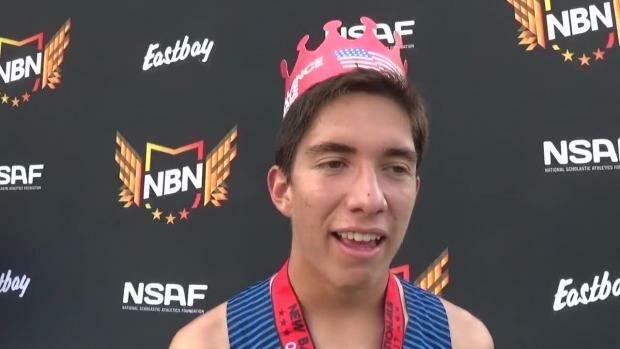 See how they fared and check out all the event coverage. 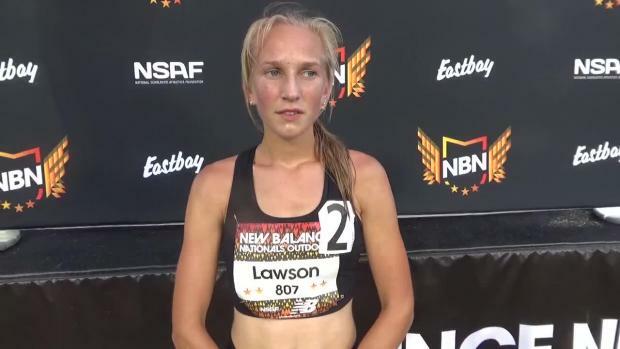 The New Balance Nationals from Friday to Sunday will include close to 100 athletes from Massachusetts, including nearly three dozen in the featured Championship events. 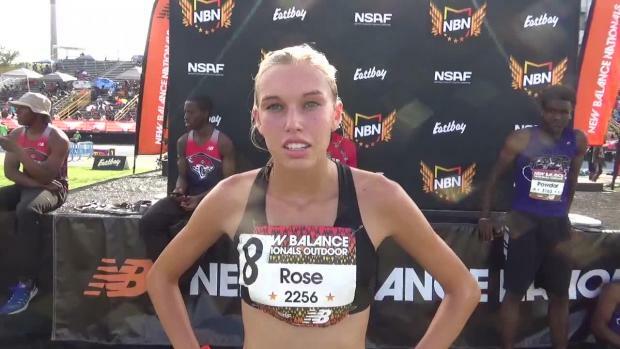 The New Balance Nationals from Friday to Sunday will include several athletes from Rhode Island, and feature more than two dozen in the Championship events. 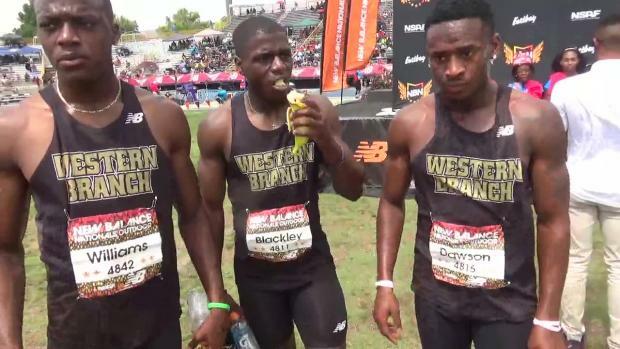 The Western Branch Bruins took care of business again. 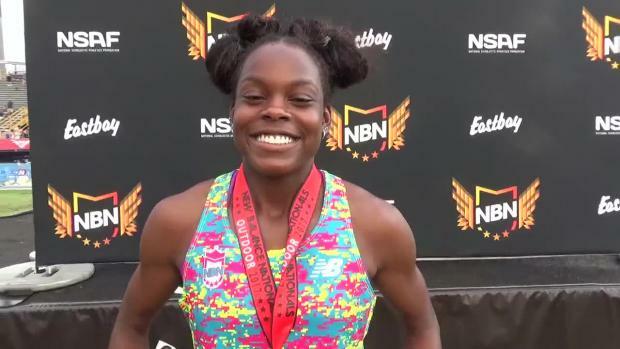 Morgan Smalls of Panther Creek has improved from a 5-0 jumper to placing 3rd at Nationals clearing 5-10.75 in just one year of high school! 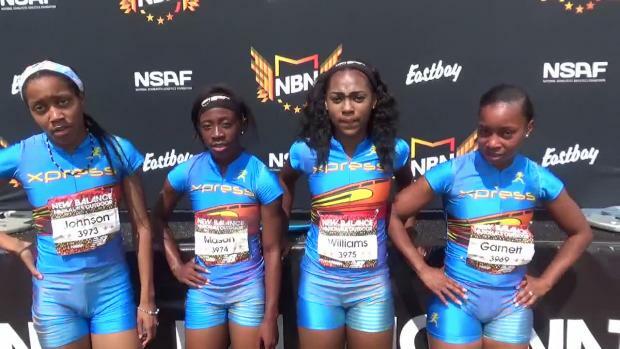 We picked six we felt were the best of the best. 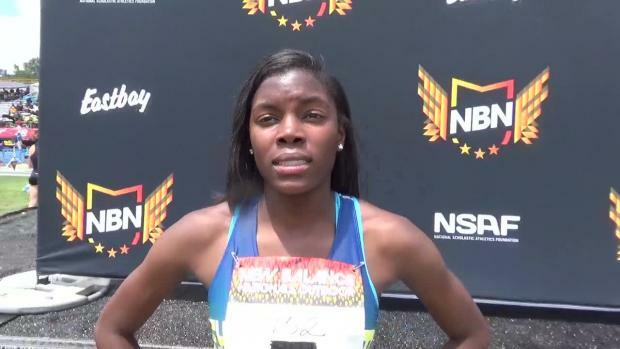 Classical star takes EE Hammer. 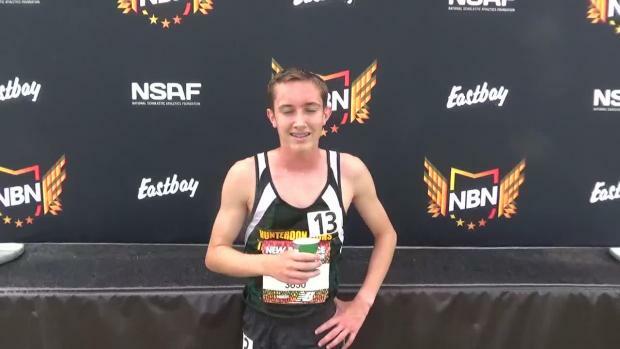 La Salle runner wins Frosh 2M. 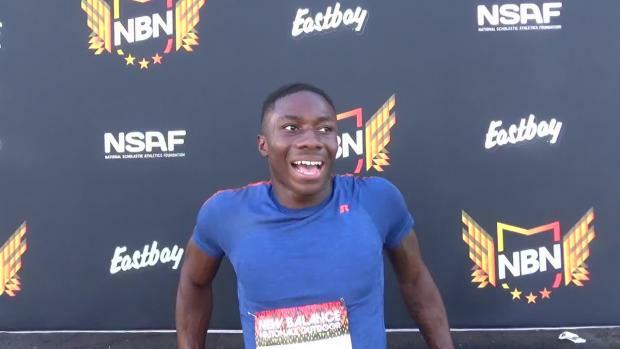 We rank the best boys sprint/hurdle performances by Floridians over the past decade at New Balance Nationals Outdoor. 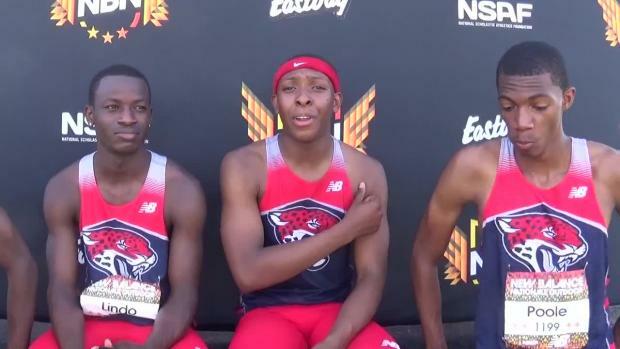 The toughest place to win a title this weekend will certainly be on the track in individual events for Team Va.
What happened this weekend in North Carolina? 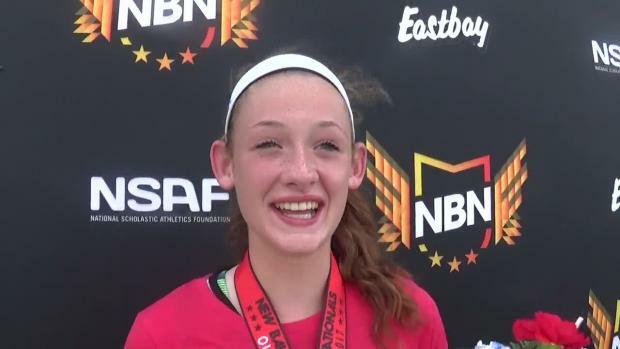 As much as anything, Sommer Knight is an athlete who has found the pole vault to be her calling. 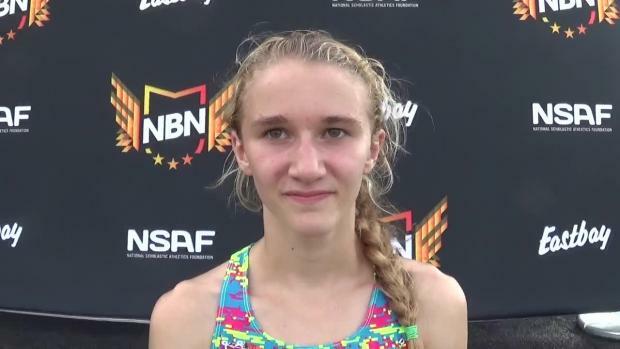 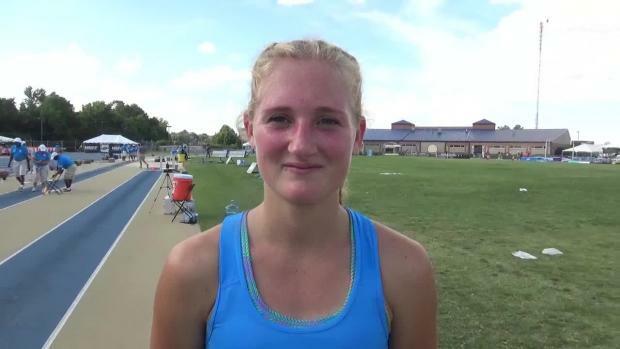 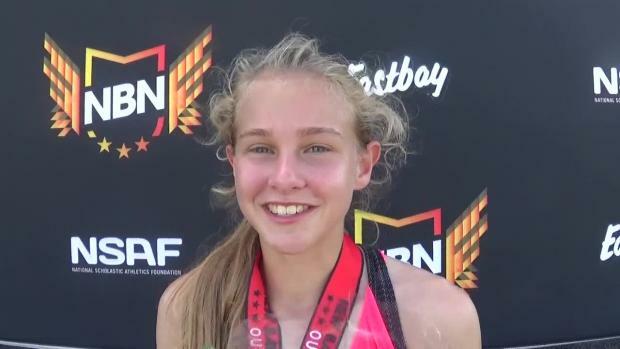 Olentangy Orange’s Anna Watson won the Pole Vault event at the New Balance Nationals Outdoor! 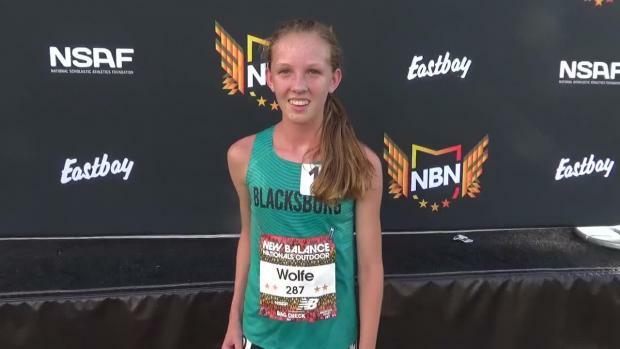 What were the strongest PA girls' performances from this past weekend in NC? 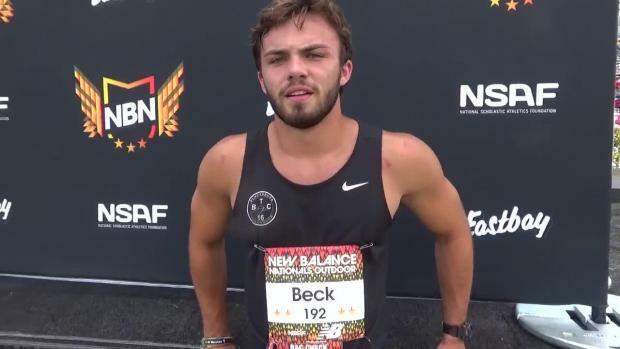 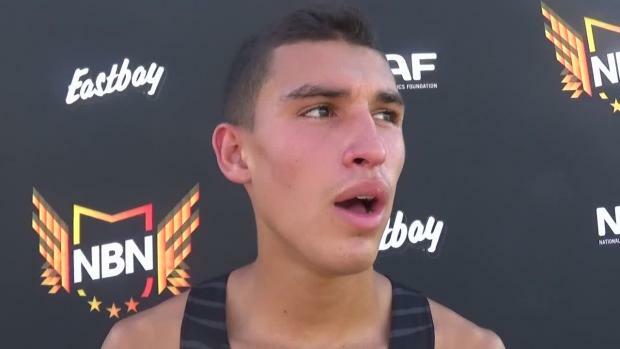 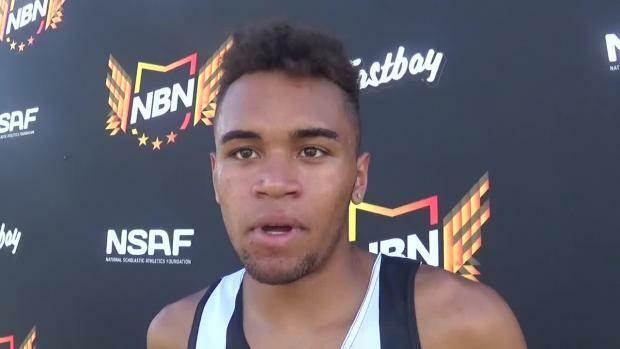 Final wrap-up from Brooks PR Invitational and New Balance Nationals. 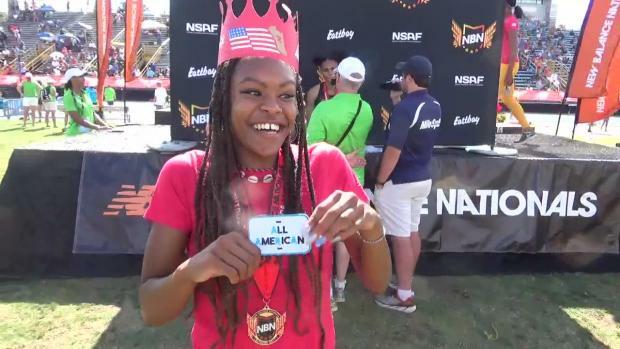 Who are some of our top athletes competing at the New Balance Nationals this weekend? 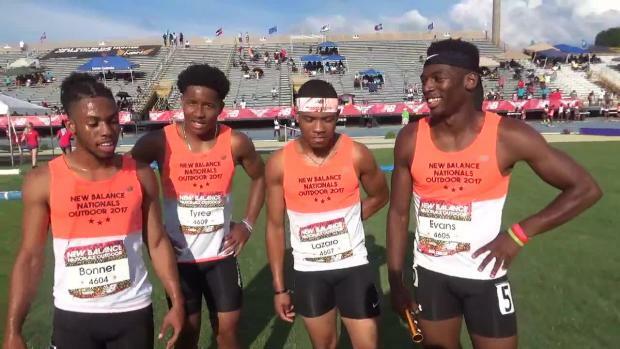 The New Balance Nationals Outdoor Championships will be held from Friday to Sunday at North Carolina's A&T Irwin Belk Track. 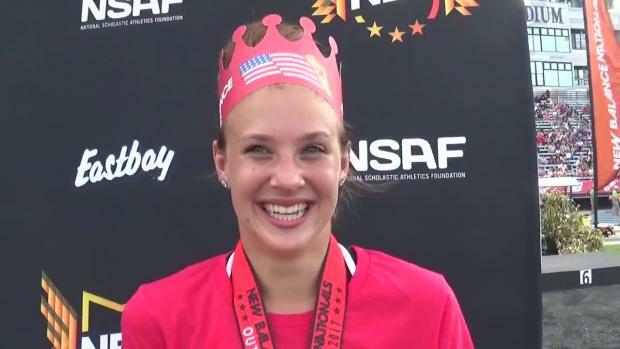 How have our Bay State athletes fared at the last eight meets? 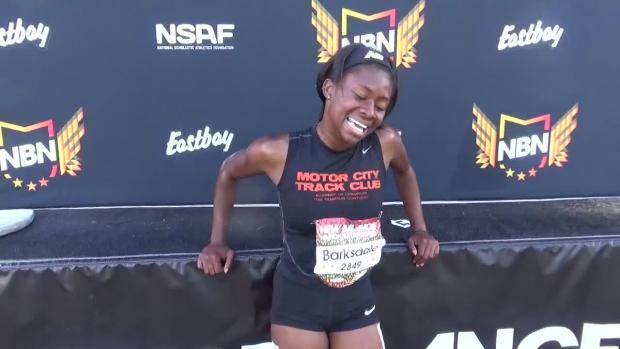 We have it here. 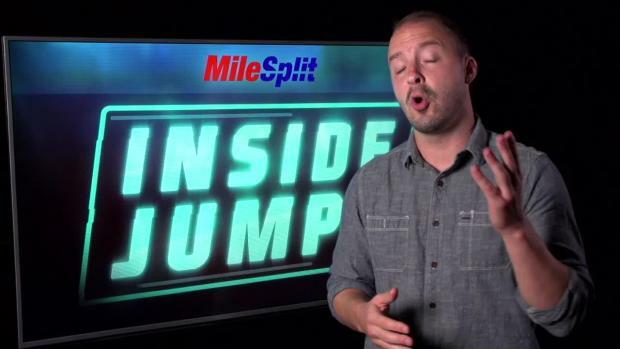 Check back for updates all weekend. 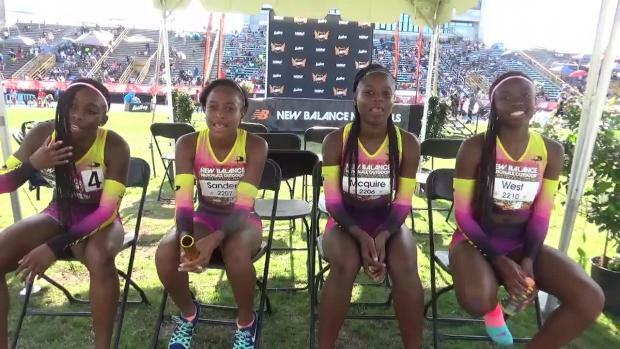 We rank the best girls sprint/hurdle performances by Floridians over the past decade at New Balance Nationals Outdoor. 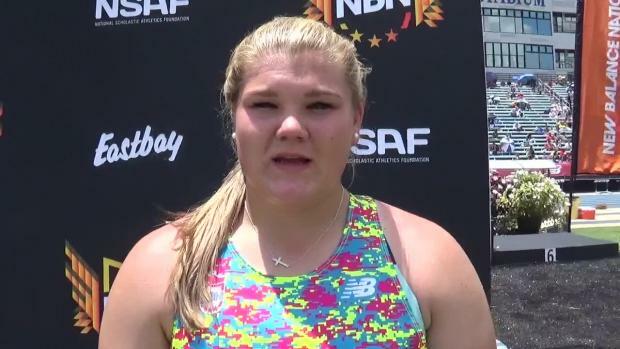 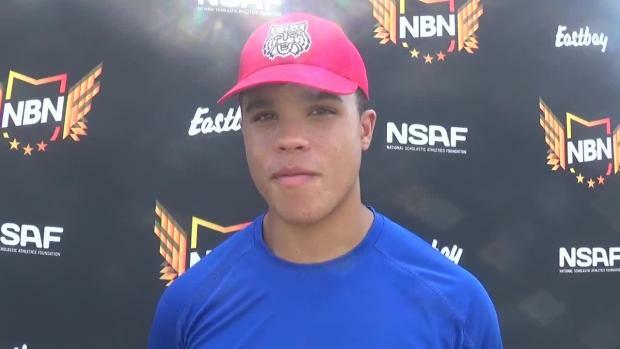 Ohio's throwers made their presence known at the recent New Balance Nationals Outdoor! 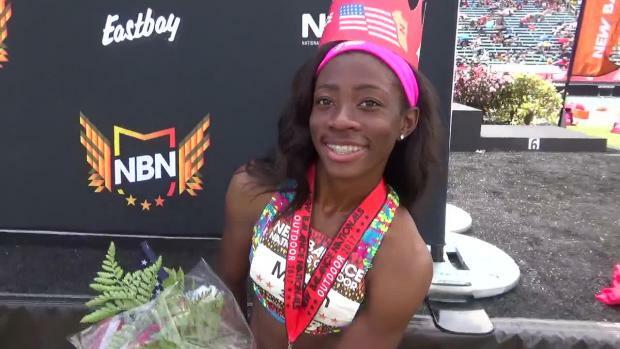 In the 100mH final at New Balance Outdoor Nationals she crossed the line in a VA #6 all-time performance of 13.56 to finish an All-American 4th. 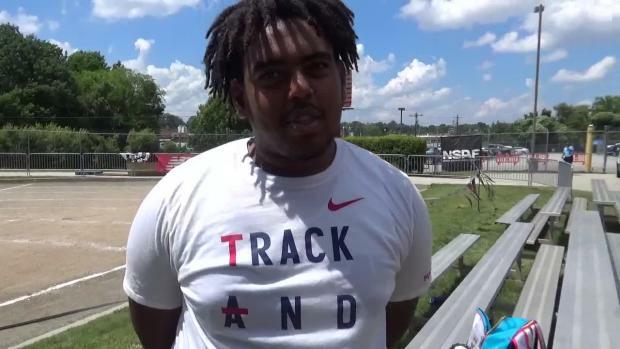 Team Virginia will field a very strong team in the field events this year. 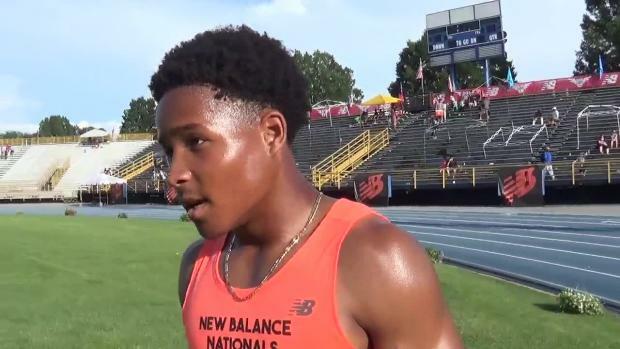 Who are some of our top athletes competing at the New Balance Nationals Outdoor (NBNO) Championships this weekend? 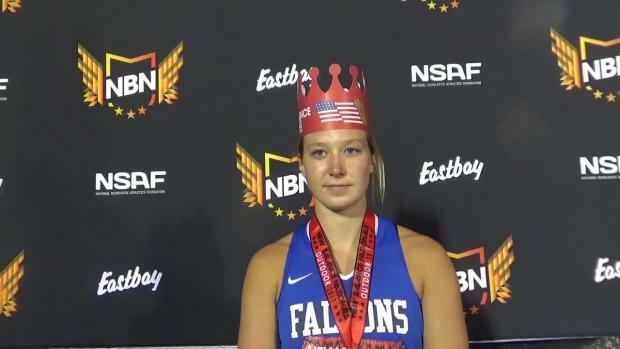 Vanderbilt signee Sophia Falco ended her high school career with a national championship in the girls triple jump to go with her long jump title from 2016. 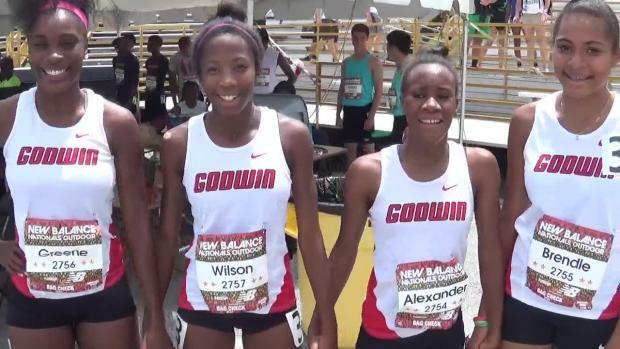 We take a look at the best girls distance performances in nationals history since 2007. 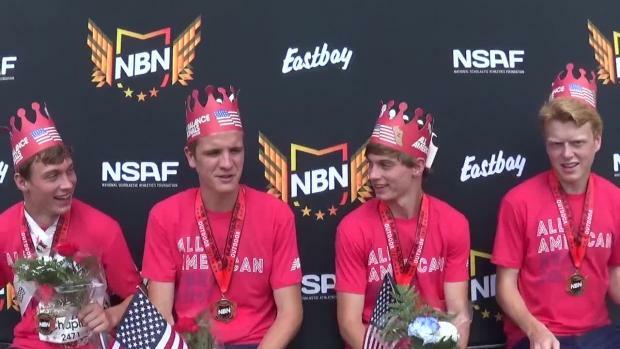 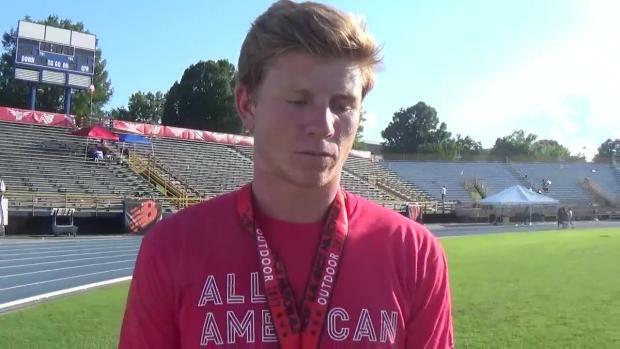 Hear what these athletes had to say after their wins, records, and All-American finishes. 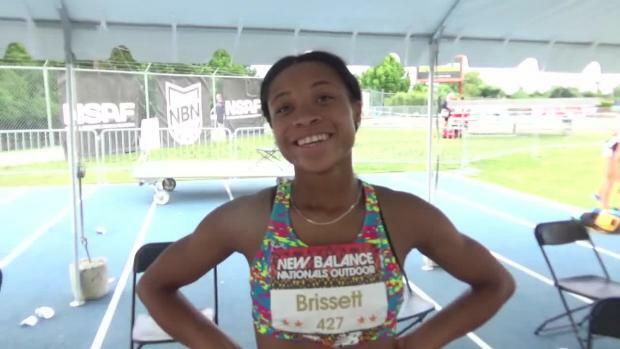 New Balance Outdoor Nationals Photos by Jeff Sides! 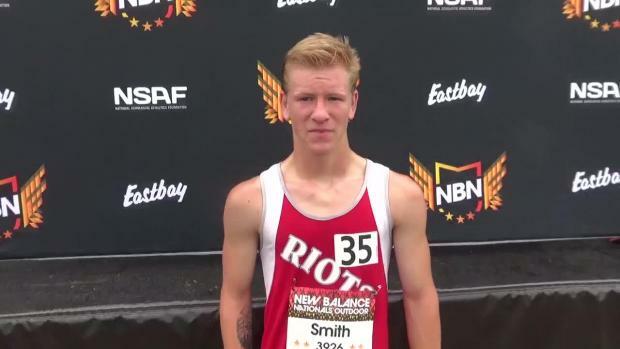 Events uploaded through the 1600 SMRs! 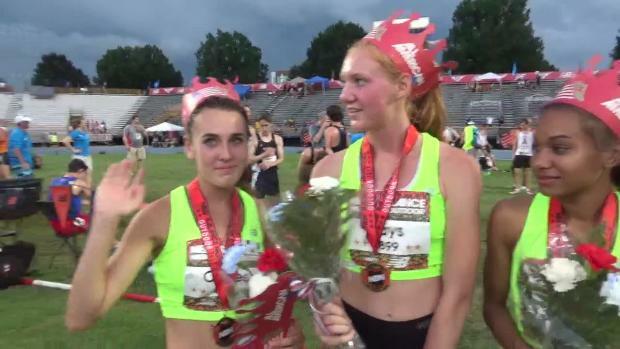 Watch interview with the C.H. 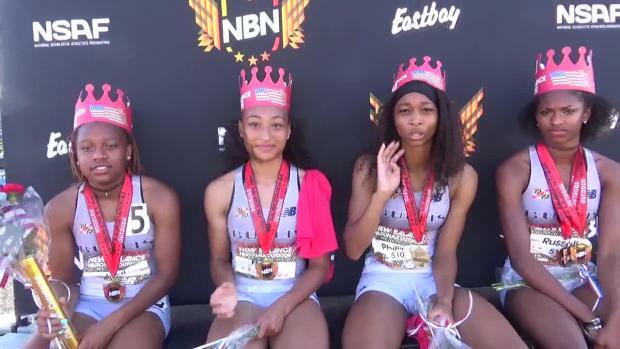 Flower girls after winning the emerging elite division of the 1600 SMR at the 2017 New Balance Nationals Outdoor. 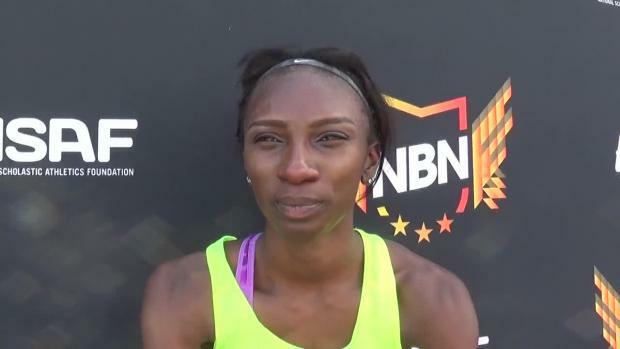 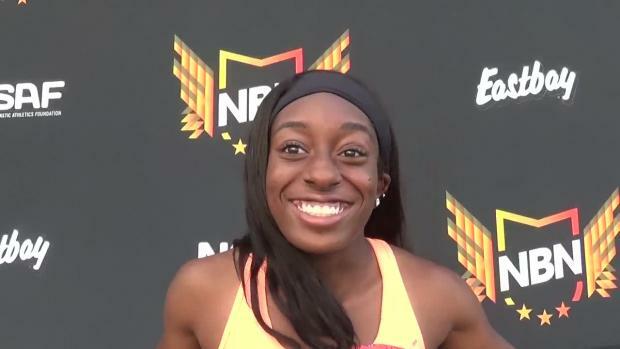 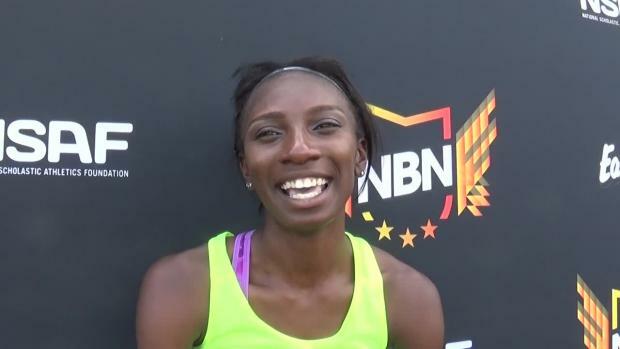 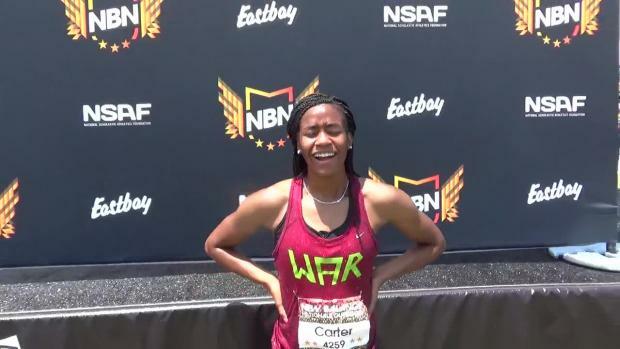 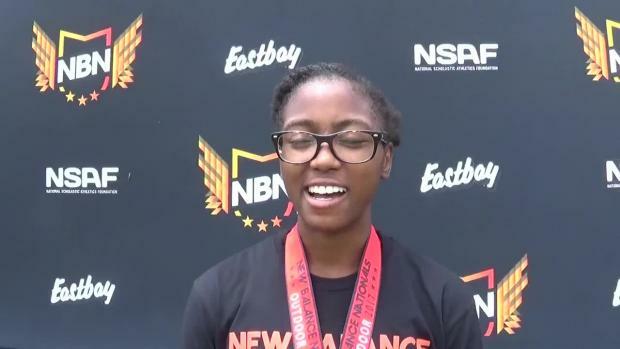 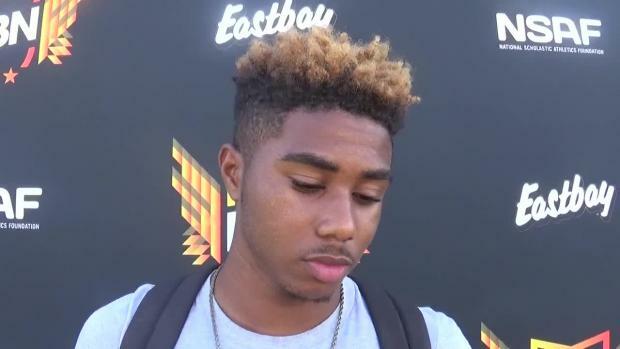 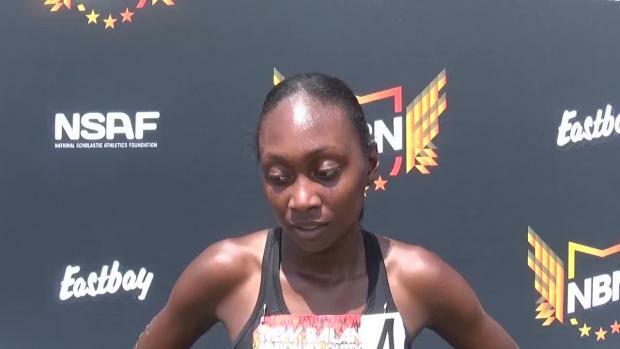 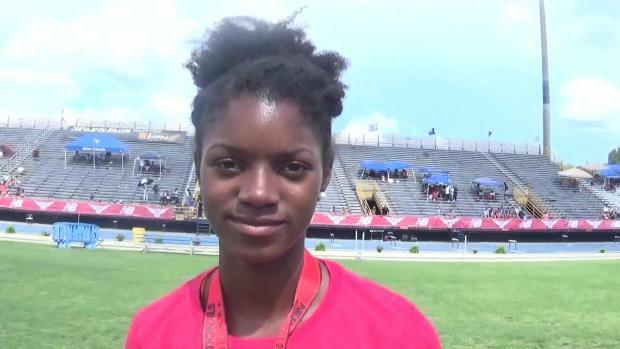 Interview with Oak Park's Janae Barksdale after winning emerging elite girls 400 at New Balance Nationals Outdoor in a time of 54.28. 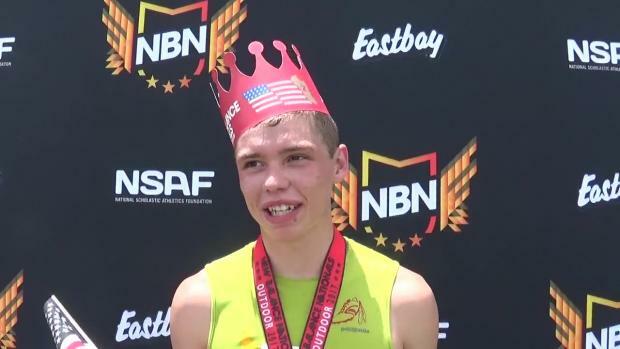 Tons of awesome photos by out NBON photographers Jeff Sides, Mary Ann Magnant and John Roemer!